Lifeshare is a Manchester charity for the homeless, helping hundreds of people throughout the year with weekend breakfast clubs, food, clothing and toiletry supplies, and support to tackle homelessness. Every Christmas, Lifeshare runs a tremendously popular week long open-house event to feed, entertain and engage with homeless people. Are you a musician or entertainer who could offer to perform? The Christmas event is run in the dining hall of Lifeshare at Charter Street Ragged School, 142 Dantzic Street, Manchester, M4 4DN. 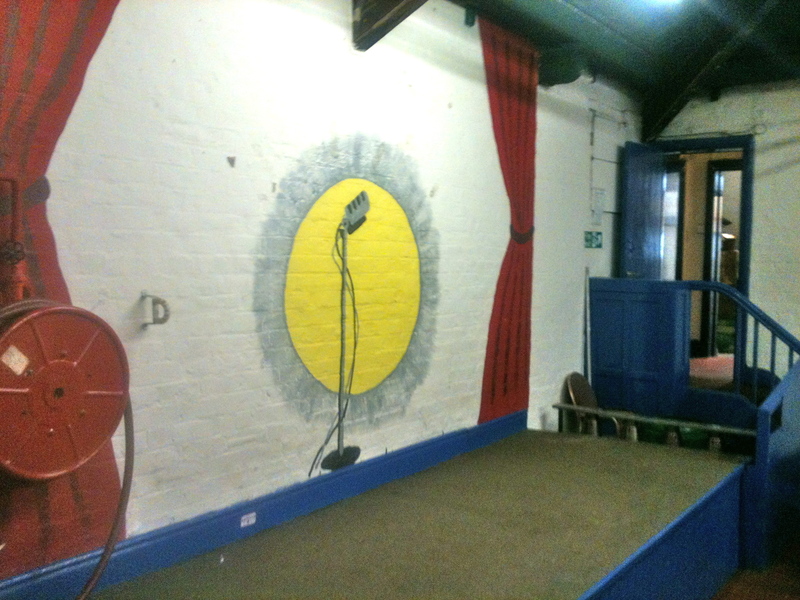 It’s an informal venue with a small stage (6′ x 15′). A basic PA and Clavinova piano will be available and I’m the house accompanist, if you need me! Your performance would ideally be acoustic, entertaining and 30 minutes in duration, maybe with some Christmas tunes/songs. The audience will be of mixed ages, and all styles of music and performance are welcome. Performance slots are at 10.30 and 11 each morning, and 3 and 3.30 each afternoon, from Monday 23rd to Sunday 29th December. There’s no fee and I can’t guarantee there will be a performance slot available for everyone who offers! Please hit me with any questions and let me know if you could perform by replying here, via email (pete [at] realstrings [dot] com), Facebook, Twitter or phone 07958 708661. I’ll sort out specific times nearer Christmas. It might be your most rewarding gig of the year! The production music album Intimate Strings has just been released on EMI’s label Sparkle and Burn. I’ve been working on this project for a year with my colleague Julian Cole. The album features 21 compositions, inspired by contemporary minimal string styles, with full versions and 60″ / 30″ edits. Here’s one of the 30″ edits called Challenge.